Carpet tips to help prolong life of carpet and to explain common conditions found. 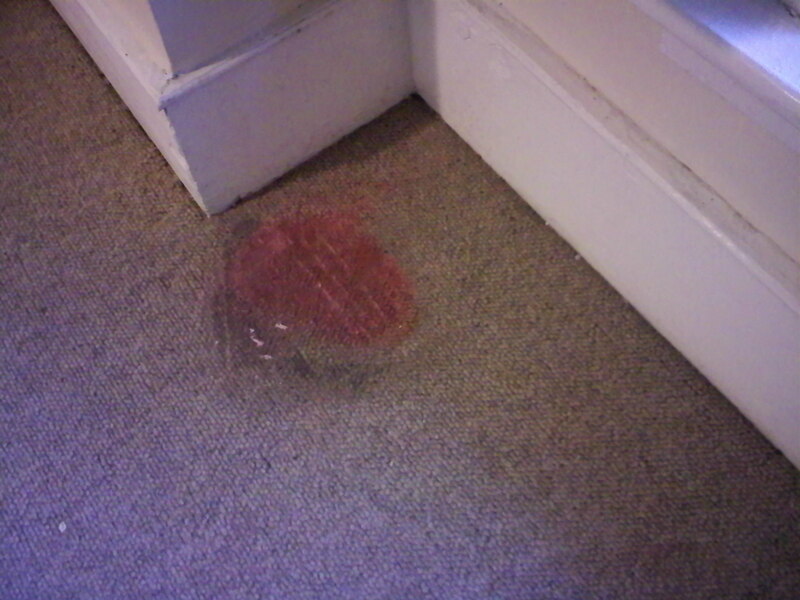 A candle wax spill in carpeting is not the end of the world. Although it requires a lot of patience to remove properly. There are basically two stages to removal. Cutting the excess wax out and then heating the remainder with an iron (hence, the “patience” part). To start, put some ice in a sandwich bag and “freeze” the area as much as possible. This helps stiffen the wax. Then with a butter knife break out as many chunks as you can and flatten the area. Now you’re ready to make the money. This part is best achieved using a paper grocery bag. Cut the grocery bag in a long single ply section. Put the grocery bag on one end directly over the wax, place a warm iron (enough to melt wax, but try not to burn the carpet!) and gently warm the area enough so the wax is sucked up into the paper, then slide the bag to a new section and repeat. Once the wax is removed you can finish the area by just touching up the area with spot cleaner then vacuum. Voila! A job well done! One of the most common ways to introduce bacteria into your household is by wearing shoes inside your house. According to NaturalSolutionsMag.com “Researchers at the University of Arizona discovered that 90 percent to 99 percent of the 800,000 units of bacteria found on shoe soles, including coliform bacteria and E. coli, can enter your living space after coming into contact with uncontaminated surfaces, like clean kitchen and bedroom floors.” To reduce the risk, you can do things like putting your non-leather shoes through the wash and taking your shoes off at the door. 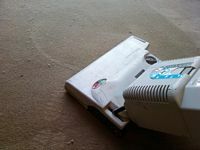 The very first lesson I learned from the inventor of CitruSolution was that there are three things you can do to extend the life of your carpet: VACUUM, VACUUM, VACUUM. Like any other fiber, carpet will last longer with the proper maintenance. Frequent vacuuming will help keep abrasive soils from cutting and prematurely wearing the carpet fiber. Also, avoid soapy processes for cleaning (spot or general). The sticky residue will actually collect more of those abrasive soils. We recommend cleaning your carpets at least once a year – every 6 months if you have pets, or small children playing on the carpet. Pet hair on furniture is best removed by using the correct vacuum attachment. For tough hair that is worked into the fabric of the furniture, try swiping the vacuum hose back and forth to work it out. A lint brush also works well with pet hair removal. Frequent vacuuming of your pets favorite areas will also help reduce lingering pet odor. 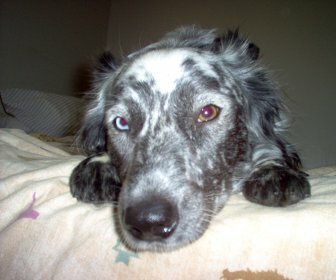 Pet accidents should be addressed as soon as possible, try blotting up and removing as much excess as possible. You can then try a 50/50 mix of white vinegar and water for stain removal and odor control. If you are a CitruSolution customer, the spotter bottle you received with your cleaning is ideal for this. 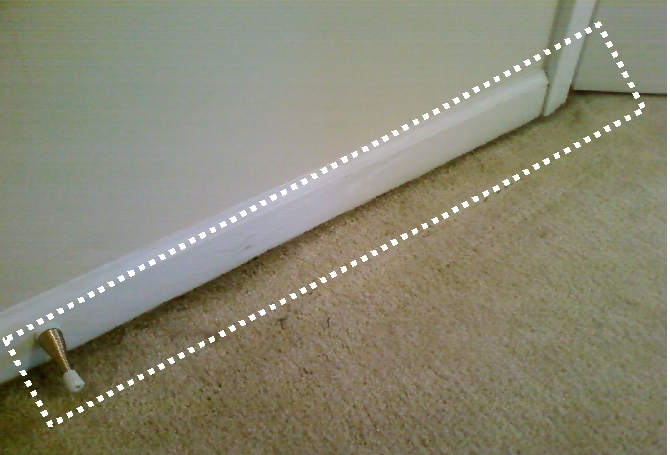 Have you noticed a dark area along your baseboards or under closet doors? This is called “Air Infiltration” and is caused by your HVAC system moving air from place to place in your house. 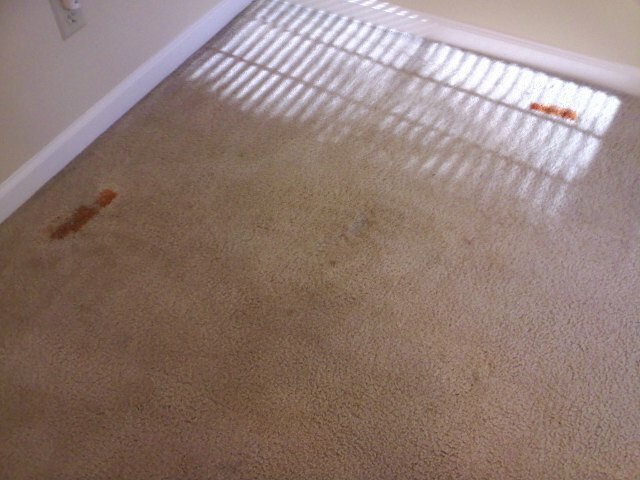 Your carpet is actually one big filter and traps this dirt as it settles out from your air vents. If you experience this condition you may consider getting your air ducts cleaned and have the ducts themselves checked for air leakage. Alternatively, you can also cheaply purchase electrostatic filters to install at each exit point to capture material before it is expelled in to the room. Once cleaned, you can maintain these problem areas simply by using your vacuum’s edge tool around your baseboards once a month. This happens when the carpet is wet either by spilled drinks or cleaning without separating the furniture from the wetness. Most furniture has plastic on the bottom of the feet to help prevent this, but for stained wood that is in direct contact with moist carpet this is usually the result. Unfortunately, there’s not much you can do to treat and reverse Stain Transfer. Best remedy is to be cognizant of these type situations before they develop. To protect areas that may have a high potential for wet carpet you might want to consider using furniture sliders underneath the feet. If there is an immediate need and if you can’t move the furniture from the area, in a pinch you could use sandwich bags or cut up a plastic trash bag, just some kind of barrier to separate from the wetness. Options to resolve this type of stain usually involves a discussion about carpet repair like exchanging plugs of carpet from a closet. There’s all sorts of advice when doing a general internet search for gum removal. I’ve heard of a lot of things from “icing” it to smearing peanut butter on it. Whatever method you use be prepared to put a little “elbow grease” into it. I have run across a product though that seems to work really well at breaking down gum for full removal and so far it appears that it doesn’t matter how much it has hardened or how long it has been in the carpet. Tea tree oil seems to do the trick. I use a product from the Melaleuca brand of products called Sol-U-Mel. For gum spots I pour a little bit on the gum, wait a minute then put a little bit on a terry towel cloth and start rubbing the spot in a circular motion. 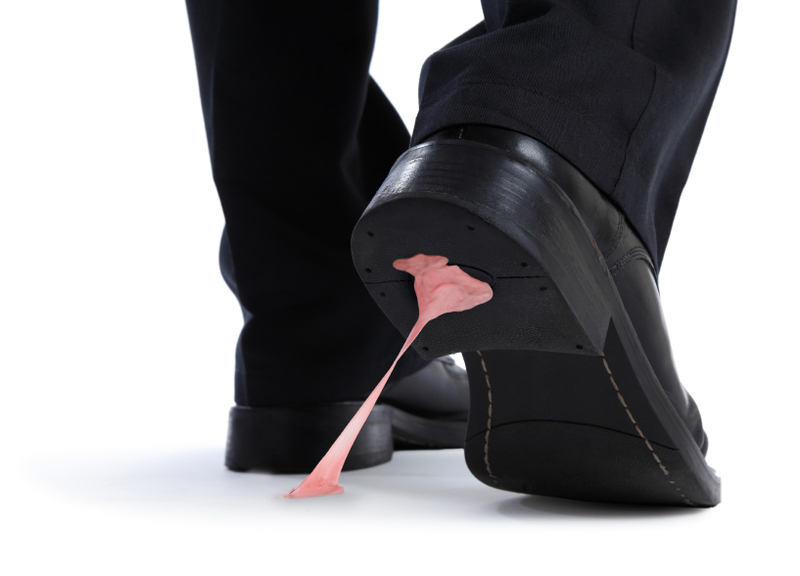 You will see the gum starting to break up almost immediately. I also reapply the Sol-U-Mel throughout the process, enough to get the job done. Some of it will stick to the towel so make sure you’re using a rag for this. Results are great and I like the fact that this is a natural product. If you need a referral you can contact me for a great Melaleuca rep.